PUKALANI — A season that started with some growing pains ended with a sweep for the Kamehameha Schools Maui girls volleyball team in the New City Nissan Hawaii High School Athletic Association Division I state tournament on Monday evening at Kaulaheanuiokamoku Gym. Moanalua, the third-place finisher in the Oahu Interscholastic Association, beat Kamehameha Maui 25-8, 25-20, 25-18. After getting blitzed in the first set, the Warriors hung tough in the second. It was 5-5 before Na Menehune went on a 4-0 run. The largest cheer of the night came after a long rally won by the Warriors that tied the score, 14-14. Moanalua immediatlely went on another 4-0 run and the Warriors could not get closer than three the rest of the set. The third set started 6-1 for Na Menehune before the Warriors closed within 7-4. One more time Moanalua put the pedal to the floor and opened a 12-5 lead that brought a timeout from Akana. The Warriors would not get closer than six the rest of the match. 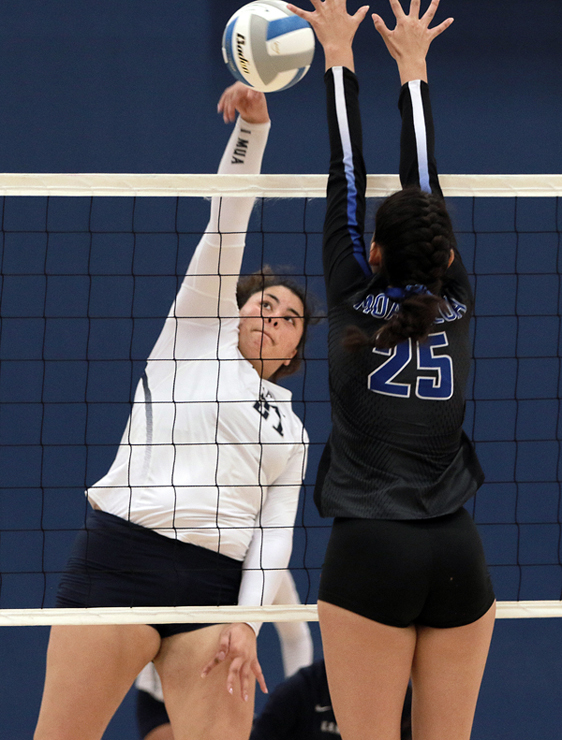 A team that graduates just three seniors — Alea Cervantes, Tatiana Martinez, and Kamaile Asing – overcame slow starts in the Kamehameha Kapalama preseason tournament and in Maui Interscholastic League play. The Warriors were led by Martinez’s four kills, but they hit negative .067 as a team and had just 12 kills overall. 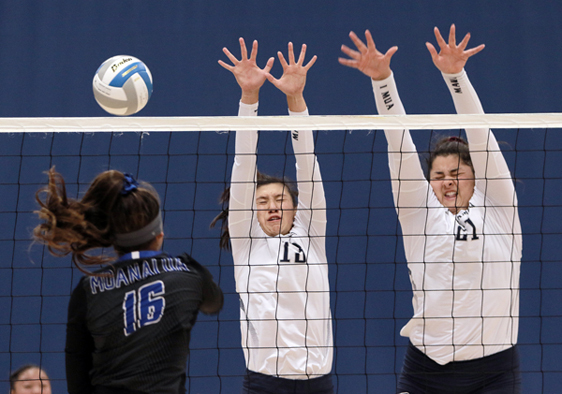 Moanalua (12-3) moves on to face top-seeded Kamehameha Kapalama in the quarterfinals on Thursday. 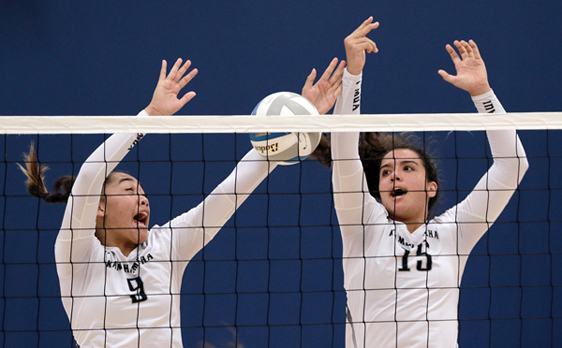 Jeslyn Spencer had 13 kills and Tayli Ikenaga had 11 kills for Na Menehune, who have only four seniors on the roster. A key to the outcome was the 8-0 advantage Na Menehune had in service aces. Cabanting knows things don’t get any easier for his team against mighty Kapalama. Kamehameha Hawaii def. Waianae, 17-25, 25-22, 22-25, 25-20, 16-14. No. 2 Mililani vs. Kamehameha Hawaii, 5 p.m.
No. 3 King Kekaulike vs. Iolani, 7 p.m.
No. 4 Hilo vs. Kahuku, 5 p.m.
No. 1 Kamehameha Kapalama vs. Moanalua, 7 p.m.